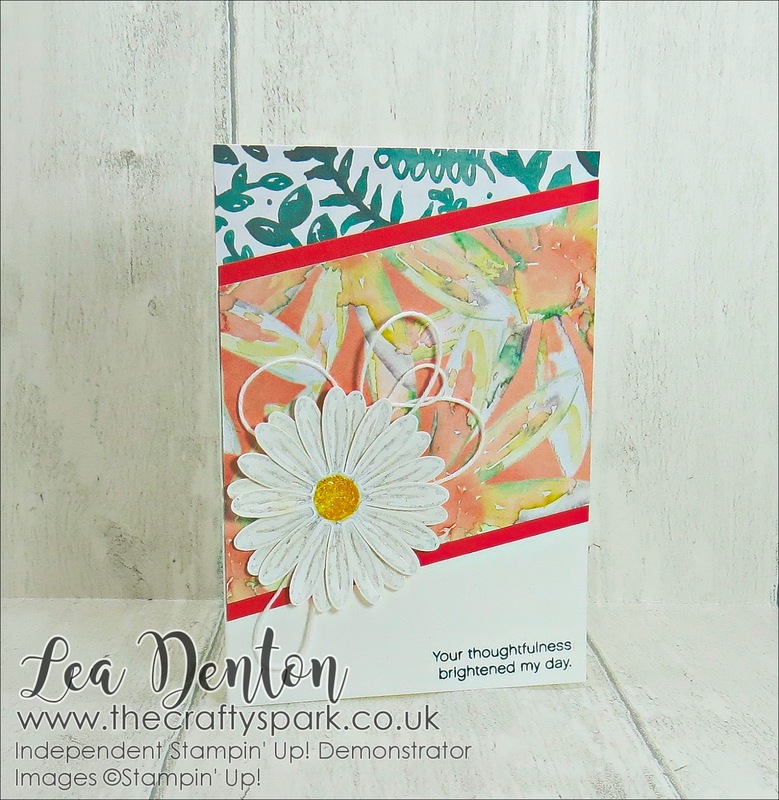 Delightful Daisy Suite really is delightful in this simple card utilising the matching Delightful Daisy Designer Series Paper to mat and layer the background card. 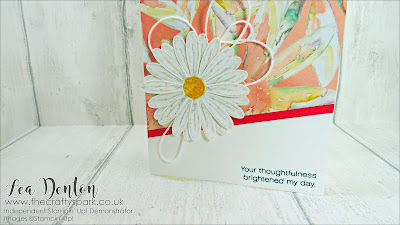 I used the Delightful Daisy Suite during my recent Sunday Stamping Blog Hop along with Stampin' Up! Embossing Paste and it worked SO well! Choose two co-ordinating patterns and a matching piece of cardstock... in this case Calypso Coral to create the background. This is a great way to use up those scraps of Designer Series Paper....cut to an interesting shape and mat on to your chosen cardstock. 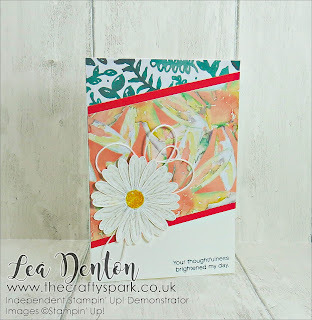 Layer up two pieces and these will form the background to the feature daisy which has been stamped with the Daisy Delight Stamp Set and cut with the matching Daisy Punch. 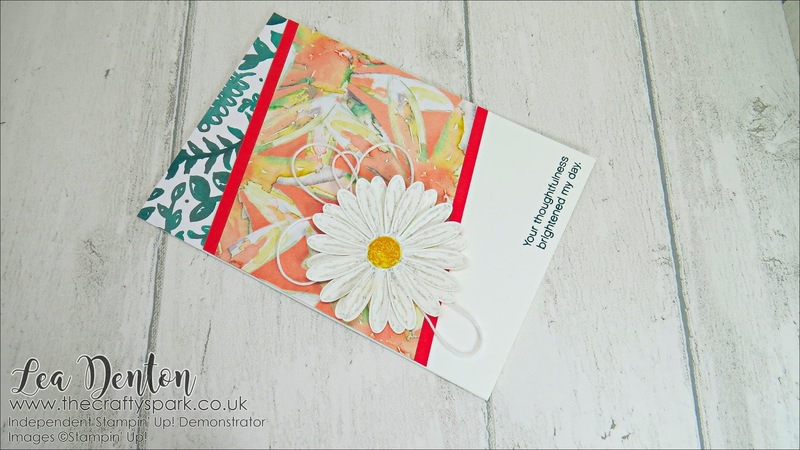 Add little bakers twine looped around your fingers make a little extra touch to enhance your daisy. Why not add extra flowers? To keep the design looking good keep to an odd number as this always works best. You can move them around your base to see where you like them before adhering and adding a sentiment of choice.